Šifra: 114455 Artikl je trenutno nedostupan, kliknite na "Postavi obavjest"
A Scouting Cam that can be used for surveillance and phototrap, the ideal device for documenting game animals or other activities. The built-in GSM Module enables you to send pictures directly to your smarthpone or e-mail. The black LEDs and motion sensor allow image capturing at night as well, enabling continuous footage without being noticed. With a power supply via batteries as well as a weather resistant housing, the camera can be left for up to 6 months in the outdoors, without needing to be serviced. The user display is protected by a cover flap, and can be locked with a password for more security. 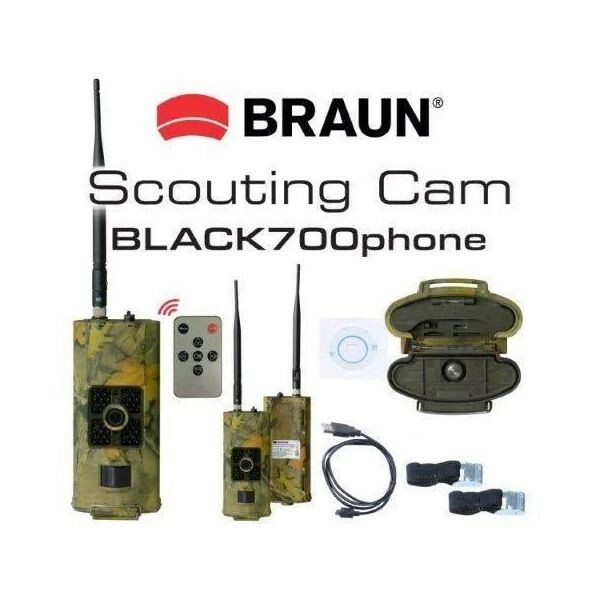 These properties make the camera perfect as a hunting camera, trail camera, photo trap or for simple surveillance.